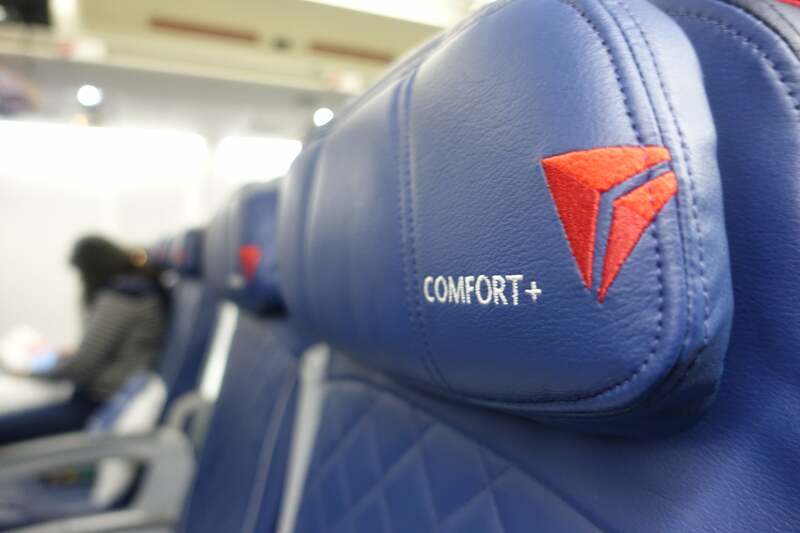 Delta Comfort+ is a great way to cross the country, particularly on a red-eye. The Pros: Priority boarding, improved amenities, more generous legroom, mood lighting and excellent in-flight entertainment. The Cons: A seat as unkind to your lower back as standard economy, though perhaps it was just mine. Right after jumping on a once-in-lifetime opportunity to fly on United’s final 747 domestic flight-turned-party from Chicago O’Hare (ORD) to San Francisco (SFO), I needed to book a flight back to New York. Although I’ve flown on transcontinental flights a number of times, I’ve never traveled in anything other than in regular old economy — disgraceful, I know. And while I’ve hopped across the pond on eastbound overnight flights on many occasions, I’d never taken one across the continental US. 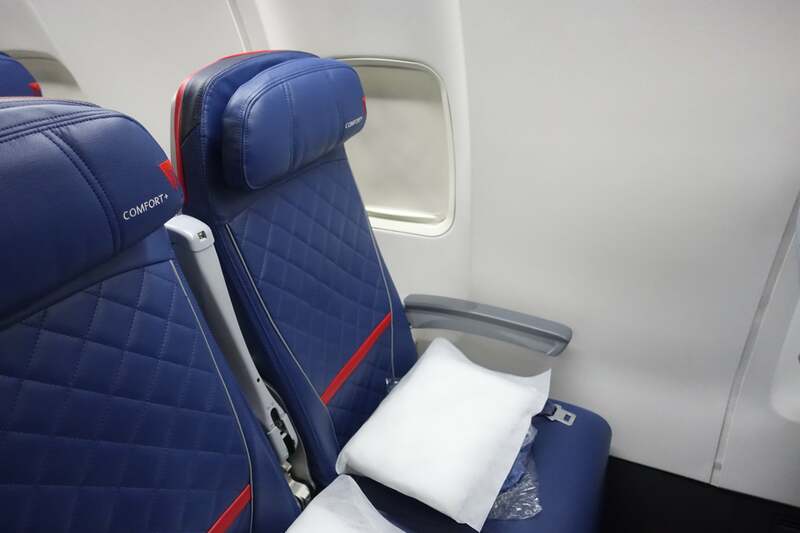 Fully aware of the heated competition between major US carriers on the route, I was excited to try out Delta Comfort+, the carrier’s version of economy plus, aboard its retrofitted 757-200 on a red-eye from SFO to JFK. Booking this flight was an anomaly for me and last-minute changes to my itinerary meant I had to pay in cash for my return flight. On a Thursday, I booked the flight for the very next day and while I didn’t want to do a nearly immediate turnaround once in San Francisco, I did need to be back in New York that Sunday. 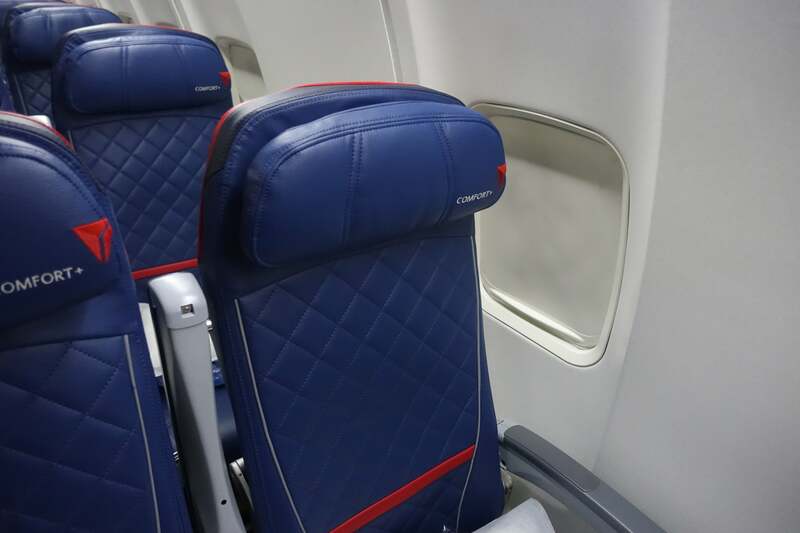 After a quick check on Google Flights, I found the cheapest option for my non-standard-economy return to be on Delta in Comfort+. 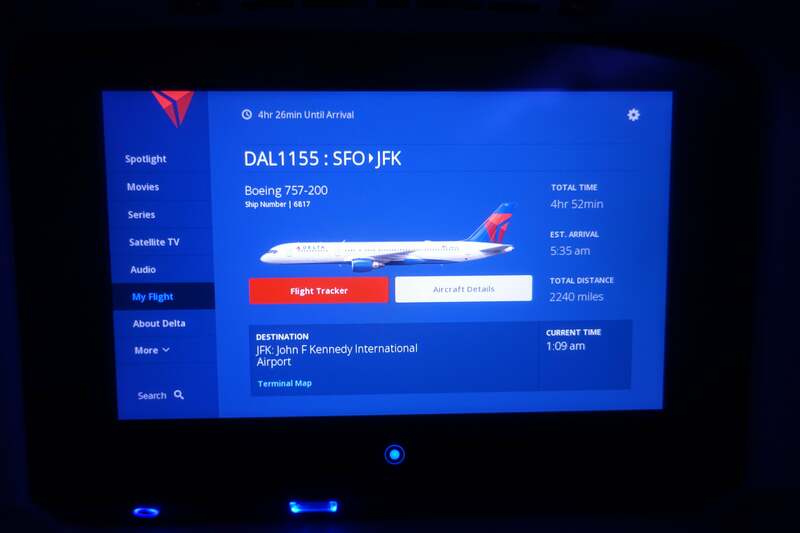 Since I wanted to test out the red-eye and was constrained by cash fares, I was limited to the single-aisle 757, instead of the larger 767-300 wide-body aircraft that serves most of Delta’s premium transcon routes to JFK. That said, I was curious to see how this product stacked up on a plane used for premium international routes as well, especially since I’ve heard mixed reports of overseas travel on narrow-body aircraft like the 757. My total came to $580.20 and considering it was a one-way Delta Comfort+ ticket booked only two days ahead of time, I felt it wasn’t all that unreasonable. 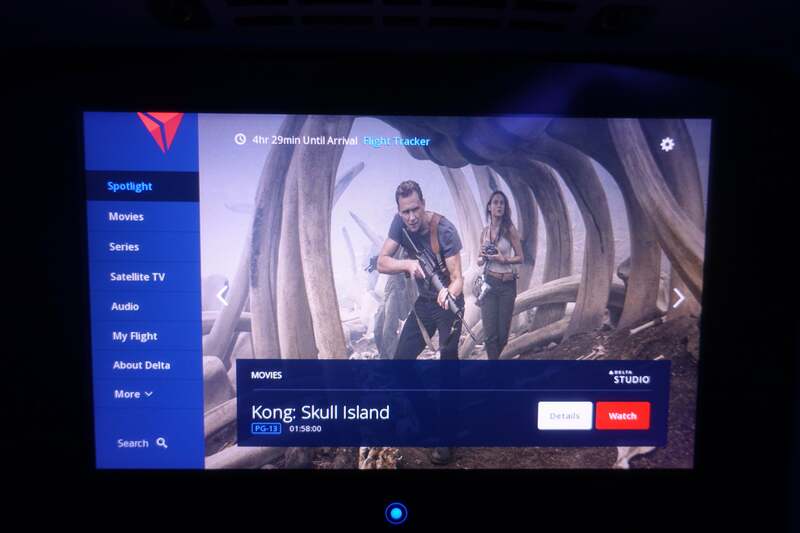 I booked it through the Delta site and used my Platinum Card from American Express, which let me earn 5x Membership Rewards since it was purchased directly with the airline. As a result, I earned 2,901 Membership Rewards points — that’s nearly 3,000 MR points for a one-way flight. Flight DL 1155 was scheduled for a 9:30pm departure on Saturday, with a 6:00am arrival at JFK the following morning. The weather in San Francisco was perfect: cloudless and warm. My Delta app informed me that the flight was operating on time and having taken advantage of the $100 Global Entry credit included with my Chase Sapphire Reserve Card, I anticipated no delays getting through security. I arrived at Terminal 1 about an hour before my scheduled departure time and was pleasantly surprised to find the check-in area for the shared Delta/American Concourse C nice and empty. I’d already checked in online but wanted a hard copy of my boarding pass so I stopped by a Delta kiosk — there were plenty to choose from and it was easy to use. I breezed through security, which took no more than three minutes and would’ve been equally fast even without TSA PreCheck that day. Beyond security, the airport was quiet. If I had given myself some more time, I could’ve made it over to the Centurion Lounge in Terminal 3 — although technically, I would’ve had to re-clear security then — but I chose to spend more time in the city than at the airport. 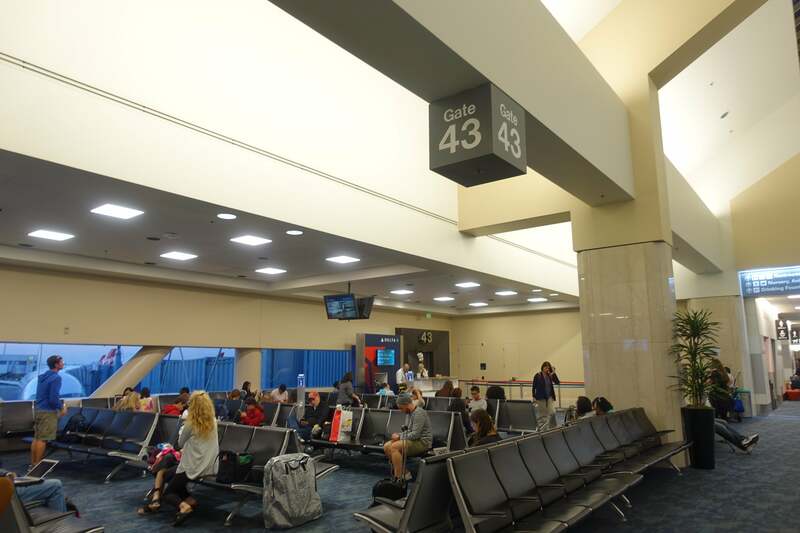 My flight was departing from Gate 43 and I was slightly disappointed by the limited food options in the terminal, especially since most of the restaurants were closed. I didn’t really mind, though, since Delta serves one complimentary meal to all main-cabin and Comfort+ passengers on transcontinental flights. I grabbed a bottle of water and a banana and, like any AvGeek should, I went for a quick walk to scout any views before returning to the gate. Boarding began right on time. As expected, crowds (not lines) began forming around the jetway doors. People were eager to board and for good reason: Expecting a completely full flight and too little overhead space for everyone’s bags, gate agents offered to bump passengers in lower-priority groups (Comfort+ and the main cabin) up to Group 1 if they volunteered to gate-check their larger carry-on bags — free of charge, of course. I’d never seen gate agents offer incentives to gate check before — they usually just make you do it — but it wouldn’t surprise me if this has now become common practice on longer domestic flights on narrow-bodied planes because of how people feel about checked-bag fees. Presumably, they do this to speed up boarding as well. With just a backpack, I didn’t feel the need to volunteer. After a few minutes, they called my boarding group and off I went. While this was far from being my first flight on a Delta 757, it was my first one on an internationally configured version of the type (75S). We boarded through the L2 door, meaning I made a right turn, while Delta One passengers turned left upon boarding. 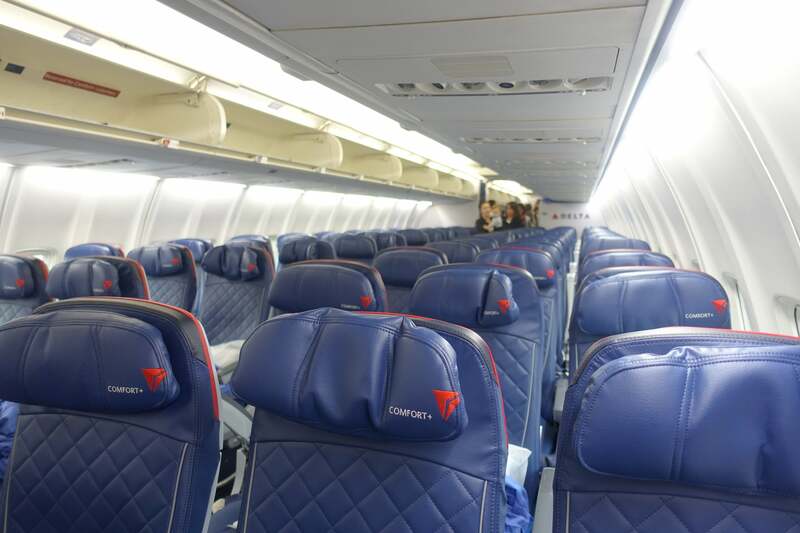 The 757-200 (S) seated 168 passengers and had three distinct classes: Delta One, Comfort+ and the main cabin. 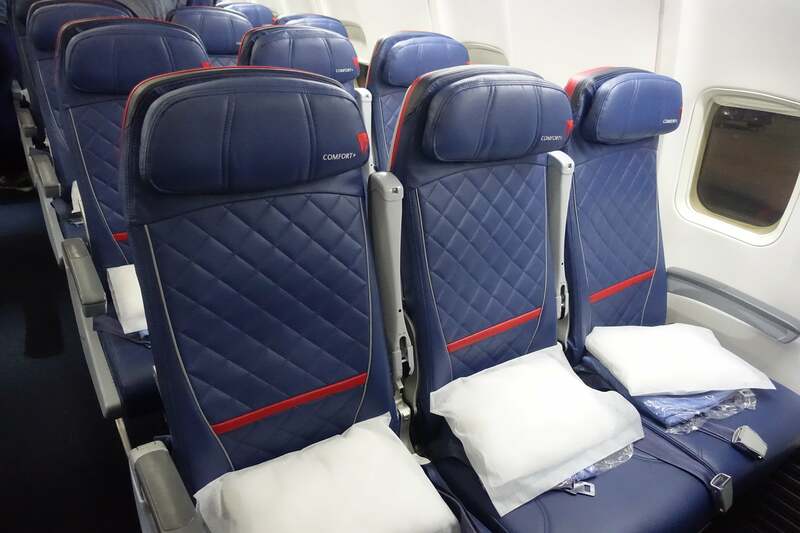 Delta One consisted of four rows of lie-flat seats in a 2-2 configuration. The seats were comparable (and nearly identical) to the business-class product offered on transcontinental routes on other legacy carriers, like United’s 757-200s and American’s A321Ts. The Comfort+ and main-cabin seats were in a 3-3 layout, with 44 and 108 seats, respectively. There were only a few rows of Comfort+ and the seats were technically in the same cabin as regular economy, but being farther up front meant expedited meal and drink service and a faster deplaning process. Delta flies these 757s primarily to Europe from JFK, Boston (BOS) and Philadelphia (PHL) on “thinner” routes where wide-body equipment is considered too large for the demand. 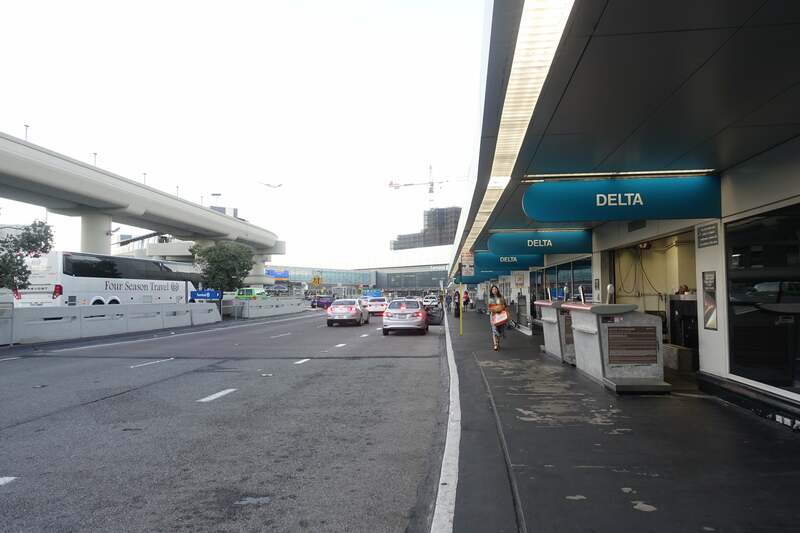 With fierce competition on these cross-country routes, Delta also uses them for premium transcontinental service between SFO/LAX and JFK, as well as for the DCA-LAX and SFO-BOS routes. I was in 22A, a window seat that, despite the number, was actually only a few rows into the cabin behind Delta One, just above the very forward section of the wing. Unfortunately for window-seat passengers, rows 22 and 23 featured awkwardly placed windows where you needed to crane your head quite a bit to look out when the seat is fully upright. To my relief, however, the substantial recline of my Comfort+ seat meant the seat went back far enough so I could see out just fine without turning my head too much. I should’ve known better — remember to always check SeatGuru and TPG for the best places to sit on specific aircraft! The seats were nicely designed and in relatively good shape, although the lumbar support was a bit lacking. 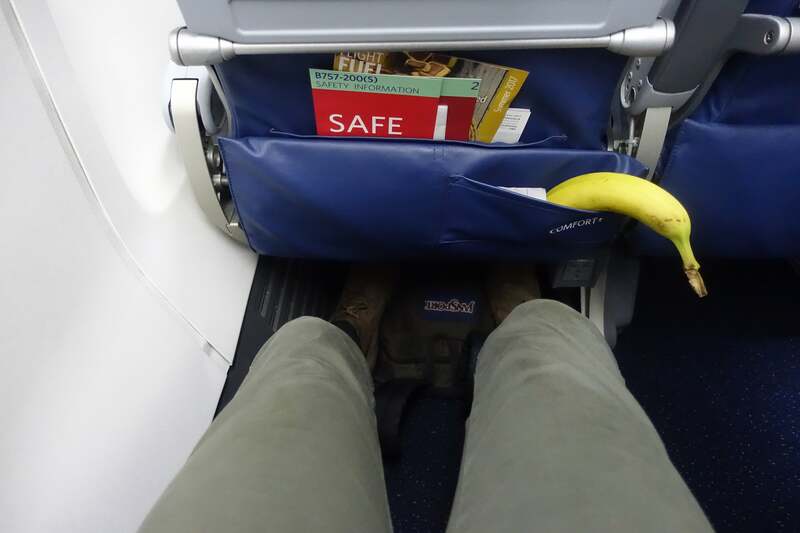 The day before, I had taken a Delta Connection E-175 from LGA to ORD and was upgraded to Comfort+ on that flight. Somehow, that seat on the Embraer felt more comfortable, despite the limited pitch and legroom. That said, I’d wager the seats on the 757 were more worn out because they’d been used longer, and on much longer flights. 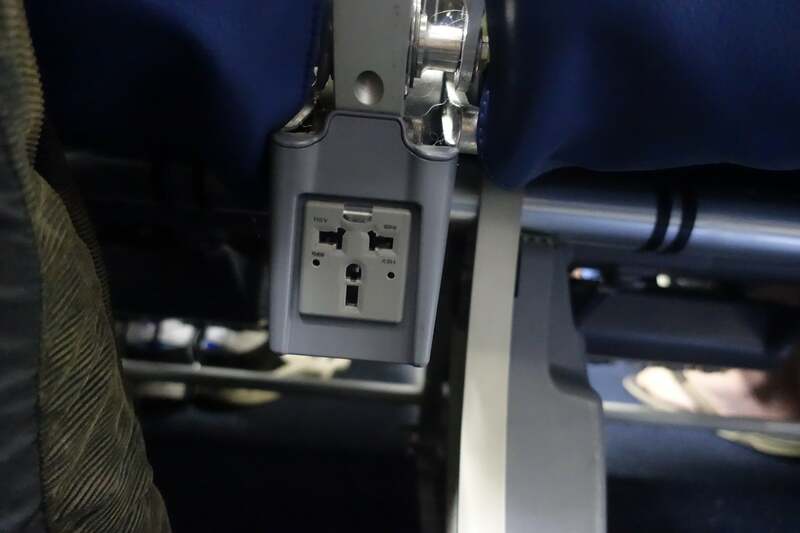 There was a power port between each seat, located just underneath the armrest of the row in front of it. The headrest was well-cushioned and could fold out or move up and down, which I appreciate on flights where I’m trying to get some sleep. The Comfort+ seats were 17.2 inches wide — the same as in the main cabin — and had 35 inches of pitch, a few inches more than the standard 31 to 33 inches you’d find in regular economy. As I reclined the seat, the bottom cushion extended out, providing more leg support. In the seat-back pocket were the usual items like safety cards and menus, which were particular to the season and direction of travel (more on that later), plus, a little banana pocket! 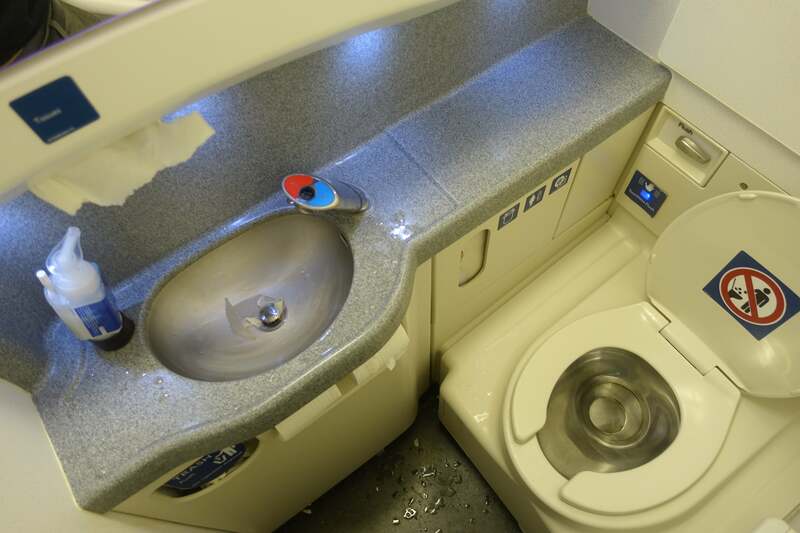 The bathroom was a pretty much a standard economy-class lavatory. Note that this photo was taken during the tail end of the flight, so it was cleaner than this when we boarded in SFO. I will say that having lavs with motion-sensor-activated sinks are a luxury compared to the old-fashioned kind, which gave you about two seconds of water — yes, it’s a #FirstWorldProblem, but such little things make a big difference to irritable red-eye passengers (like me). Unfortunately, this one had an old sink. The water on the floor was kind of gross, but I’m pretty sure I added to it when I splashed water on my face anyway. It’s a good thing our flight landed 40 minutes later. As the boarding doors closed, I looked around and noticed this was indeed a completely full flight. 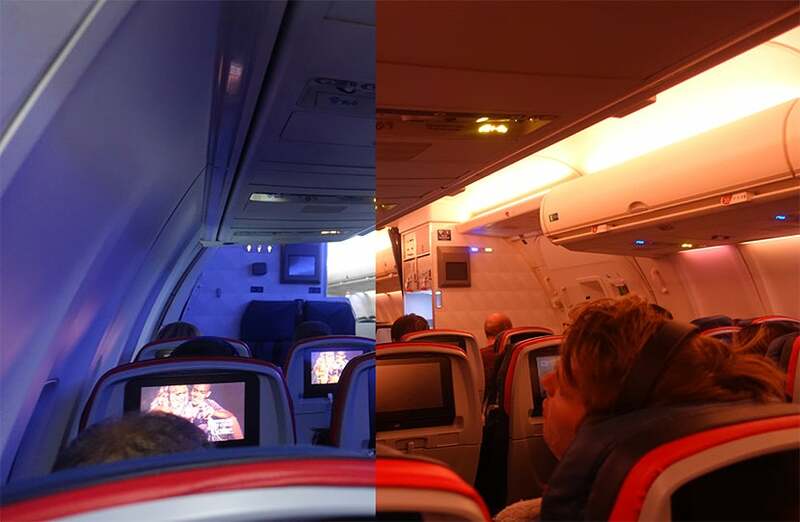 We pushed back on time and, right after the engines purred to life, the cabin crew turned on the cabin mood lighting, turning the harsh whites of the overhead lights into a soft, deep blue (pictured on the left). They were on for the first portion of the flight, then came on again — in orange, for sunrise, pictured on the right — before we landed. It’s always nice to see dynamic lighting in non-premium cabins. The seat-back featured a high-definition in-flight-entertainment touch screen, as well as a standard USB slot so I could charge my phone. The full IFE came on a few minutes after the double chime indicating we had broken through 10,000 feet. The screen was highly responsive and offered extensive on-demand content as well as live TV stations, including CBS, NBC, Fox News, CNN, ESPN, ESPN 2, NFL Network, Comedy Central, FX, TNT, TBS, Bravo, Cartoon Network, Univision and Discovery. The overall user interface was well thought out and intuitive. There was also a small motion sensor under the screen so you could adjust the brightness and turn the display on or off. This was one of the better IFE screens I’ve had in economy in recent memory, at least on a domestic flight. We also had access to music, an interactive map and information about Delta and the flight we were on. 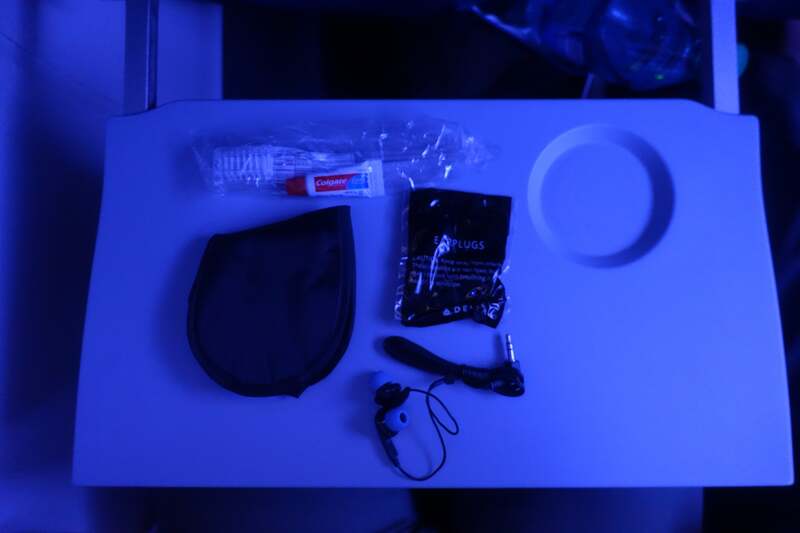 Comfort+ passengers received a small amenity kit after takeoff, which included an eye mask, headphones, earplugs, a toothbrush and toothpaste. The headphones were pretty terrible, but made a usable last resort — they were also single-pronged, which meant you could use them on your own device. Delta has started offering one meal on its trascontinental flights in the main cabin and Comfort+ — and the food was actually decent. 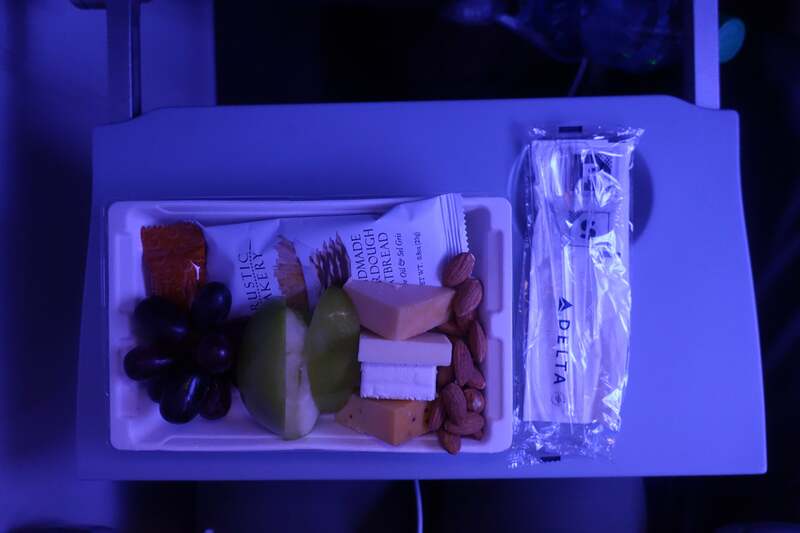 The menu, the same one given out in the main cabin, came with three distinct options: a fruit and cheese plate, a plate a Greek-style snacks and a vegetarian wrap. I had already eaten a boat-sized burrito in the Mission District for dinner, so I opted for the cheese and fruit, which was served in two courses. The fruit tasted fine and wasn’t overripe, the almonds were good and while the cheese wasn’t incredible, it was more than fine — it also came with crackers that hit the spot, though I wish there’d been more. 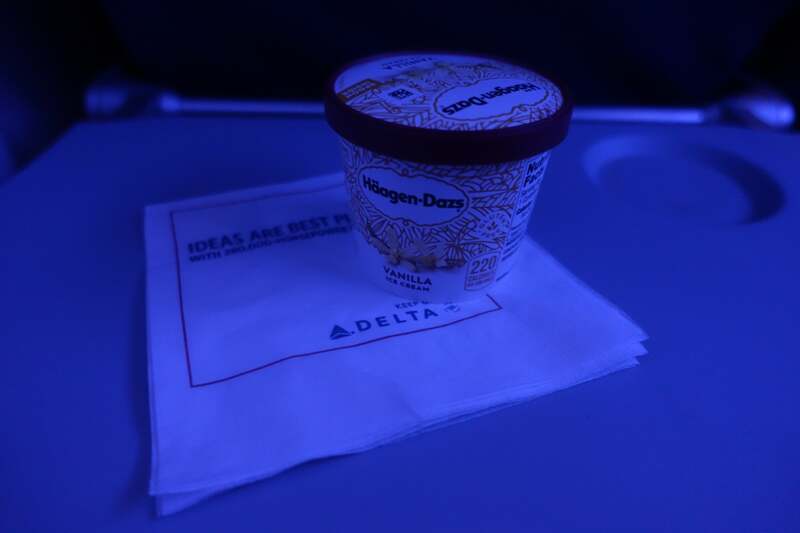 After the main course was served, flight attendants handed out Häagen-Dazs ice cream and later came around with Godiva chocolates. After the meal and about an hour and 40 minutes into the flight, the crew turned the lights off. After watching part of a movie, I put on my eye mask and fell asleep, eventually waking up over central Pennsylvania with only 30 minutes left to go and just enough time to catch the sunrise. 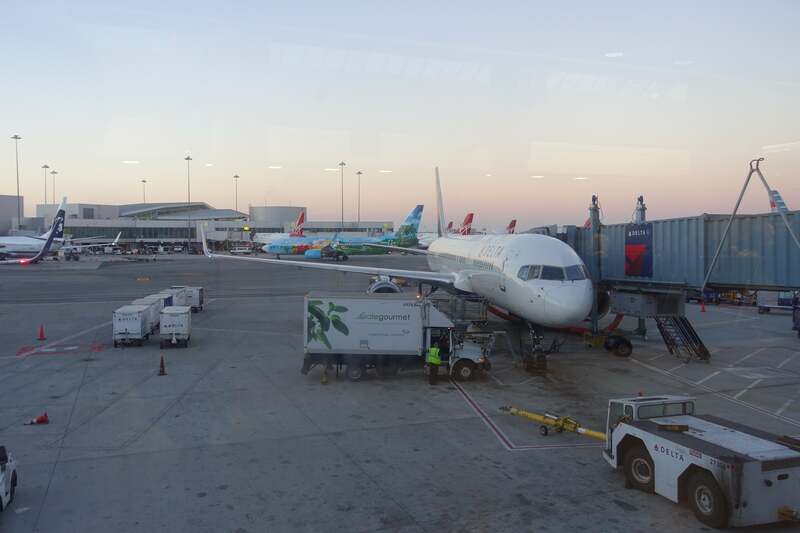 I had never taken a red-eye flight across the US before, but I’d hop on one again. Delta has its hard and soft products down. 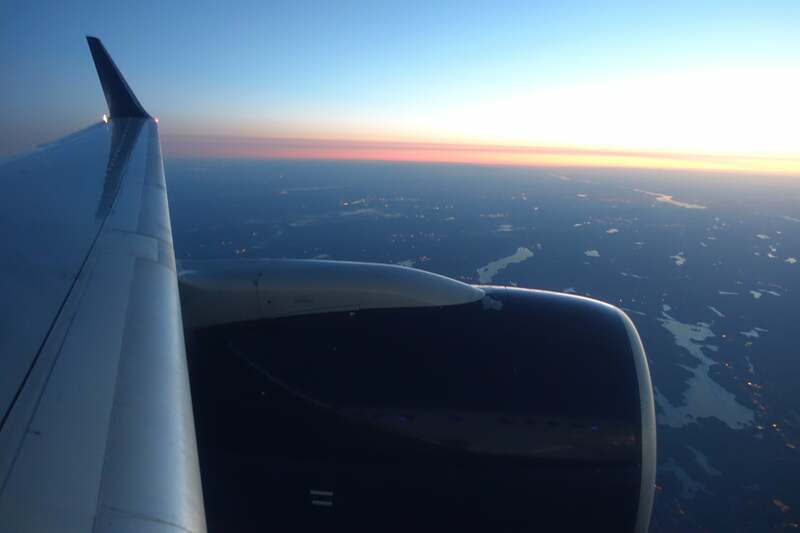 Flight attendants were kind and attentive; the seat, though not spectacular, was comfortable enough; the entertainment was excellent; meal service made a welcome return; and the onboard mood lighting made the inherently nasty time-zone jump easier. Smaller perks like additional legroom, added pitch, priority boarding, free alcohol, a pillow, blanket and an amenity kit made the experience feel just slightly more exclusive than usual. 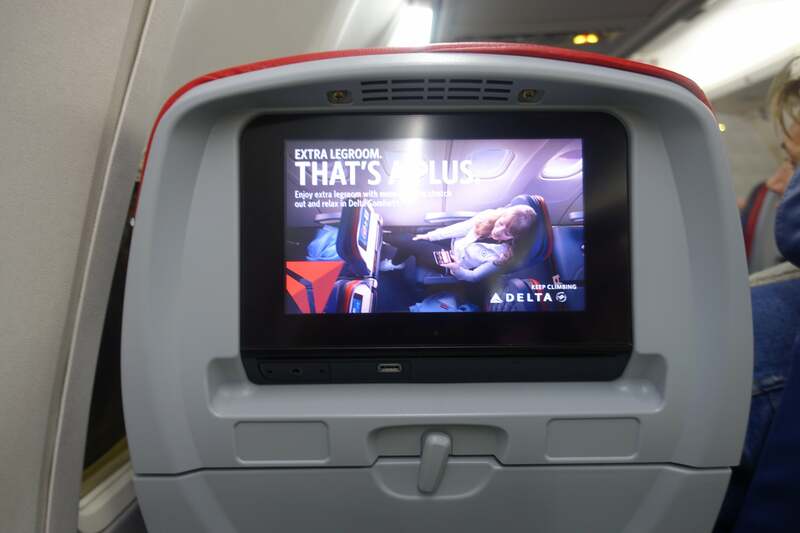 What’s your preferred non-premium cabin for transcontinental flights, especially red-eyes? Let us know in the comments, below.